I’ve had this review saved in my drafts for a while, as I had been unable to finish it. But with the second single already climbing up the charts there was no point in delaying. 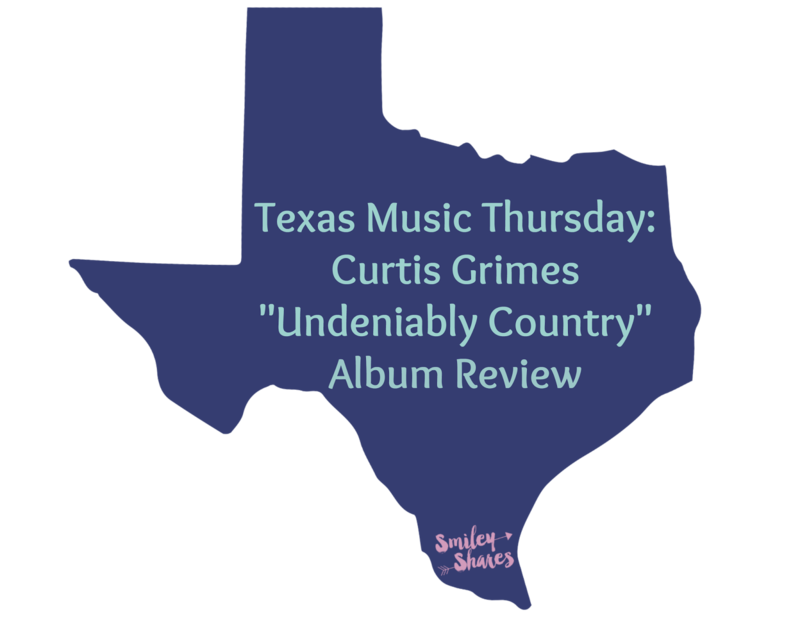 Here is my long overdue “Undeniably Country” album review. “Undeniably Country” was released November 2016, and it holds 8 new tracks. I would like to point out that Grimes delivers what he promises, in a time where country music is “evolving” and ever “changing” to call something undeniably country, and people to agree with that statement is a difficult task. Yet, regardless of how you feel about the songs on the album, you simply cannot deny that the album as a whole is country and that should be respected. The 8 songs on the album take us through a personal journey and help us get to know Curtis Grimes on an intimate level. “Everything Hank Did”, a song originally written for Keith Whitley, describes moments of confusion, bad decisions, realization and refocus. 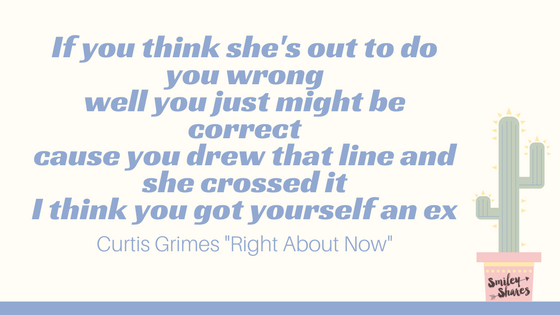 Although this song was not written by Grimes, a reason it is personal for him, is because it connects two of his musical inspirations, Hank Williams and Keith Whitley. Curtis Grimes is from the small town of Gilmer, TX and “If You Ask Me” highlights the many values he was raised on. Lyrically it may sound simple, but it is able to get the message across of knowing to appreciate the small things in life everything else is just extra. Every album needs a love song, right? Well, maybe not…but when you’re in the process of making an album, and you get married, I am sure it is something that easily ties into it. This song was written by Thomas Rhett and Chris Janson, which I think is pretty cool. The song is simple, but sweet as shares details about the relationship of the couple, it is fun, and upbeat. This song does play with the lines of a mainstream sound, yet Curtis is able to keep a traditional sound on it. Following the first single of the album, we have what would end up being the second single “Right about Now” . The song sounds like a conversation a guy is having with a friend who is afraid to realize he messed up his relationship due to his “pride”. What I enjoy about this song, is the sense of humor in it, not only do you get that from the lyrics but also from the interpretation, it is as if you could hear Curtis smiling while sharing this story. With the next two songs, there’s a shift. “Had a Thing “is lyrically deeper, and vulnerable. It talks about vices - “Whiskey, women and weed”, struggles- “guitar and old dive bars” “sad old country songs” and Faith “Jesus and Amazing Grace”. The song transitions beautifully into the fiddle playing “Amazing Grace” projecting that emotion of hope. This is where “Born to Die” easily fits in. “Born to Die” is a worship song, a country worship song. It is simple, and transparent, and although he does not mention “Lord” (1:30) and “Jesus” until at least 3 mins into the 3:23 song, the meaning is clear. “Put my Money on That” switches back to an upbeat, guitar heavy song about the things that you can always count on in life. Just like “If You Ask Me” both songs discuss values; however “Put My Money on That” does it in a more upfront, unapologetic, sort of way. Lastly, we have “Ten Year Town” this song is simply pure fun; many seem to discuss what will be of “Nashville Country” if it continues with the pop blending. “Ten Year Town” just so happens to be Curtis witty take on the topic. Kate Kinder "West Tx Sweetheart"
As you can see, the album, touches on different aspects of life. From those moments of regret tho those filled with hope. I think we can all appreciate the fact that Curtis Grimes has shared a bit of himself with us, the listeners, and didn’t shy away from the ugly parts,even included his personal beliefs, which can sometimes be a risky thing to do. If you have yet to listen to the album now it is the time to do so, and don't forget to request the latest single "Right About Now" at your local radio station.